Jorma Design ("yor-ma") was founded in 2002 on a simple principle—to retrieve what is on the recording without adding or subtracting anything from the original signal. The “secret” of Jorma Design products is that every cable is a carefully chosen combination of design and structure, and that it uses the best materials in the world. Every Jorma Design cable has to satisfy strict criteria before leaving their factory in Sweden, and every cable is individually tested to ensure that it meets those standards. Every Jorma Design cable has to sound musical. Simple as that may seem, it is one of the hardest things to achieve in cable design. “Musical” means that the owner of a Jorma Design cable is able to listen and enjoy hour after hour of music in total enjoyment. With Jorma Design cables in your system, your concentration is only on the music. You don't need to worry about the pros and cons of the cables because they sound completely natural. They make it possible for your audio system to immerse you in a sound field that you have never experienced before. Jorma's statement product. This reference grade cable is hand manufactured using top quality materials, including gold, the purest copper, transparent PTFE (thermoplastic film), cermaic fibers and walnut wood. All of which are fine-tuned with the singular goal of retrieving the most from your system. Using proprietary designed conductors that were developed by a small European manufacturer whose goal was to push the limits of science, raising the bar in the process, it took in excess of of 6 months of intense R&D as well as significant resources before they were ready for production. Finally, Prime is distinquished in the Jorma line in that it utilizes Bybee Slipstream Golden Quantum Pruifiers. This reference grade cable allows all the sparkle and life that exists in your music to come through without restriction. Ideal in a finely tuned and balanced system, Origo can also liven up a slightly tired or dark one. Essentially the same cable as the flagship Prime, Origo uses simpler shielding and omits the Bybee Quantum Purifiers from the mix but takes advantage of the same technology and design (utilizing the purest possible copper, transparent Teflon, ceramic fibers and oak). The result is a highly transparent component worthy of implementation in the finest systems. Unity is defined as the state of being united or joined together as a complete and pleasing whole. Jorma did just that with the introduction of his latest cable creation - Unity. In the mathematics world, the word means number one. The new Unity cable not surprisingly replaces Jorma's former flagship No. 1 cable. Incorporating a completely new design model (borrowing technology from the Prime & Origo Series as well as the No. 1 & No. 2 Series) Unity cable is a significant improvement over the award winning No. 1 cable it supersedes (for about the same price) with a sonic signature that is reminiscent of the Prime / Origo Series. Unity is currently available configured in analog interconnects (RCA or XLR) and speaker cables (bi-wire or single wire). Simply put, my system sounded great from the first day with the Unity cables, but I let them play for few more days before doing any serious listening. With the Unity cables in my system, the sound was very transparent, remarkably natural, and had richer detail with slightly improved timbre accuracy, as compared to my reference ASI cables; it’s quite amazing that the Unity cables are a touch better regarding the already excellent timbre accuracy which I love so much from the ASI cables. It didn’t matter what type of music I played; it all sounded superb. Whether it be chamber or orchestral classical music or Jazz. It just sounded better. The Unity has an extraordinarily natural sound that is easy to hear and it thrilled me with its unusual realism. It was like listening to live unamplified music. I knew right away that me and my bank account were in trouble. ...at any price, the Jorma Design Unity cables are truly remarkable. 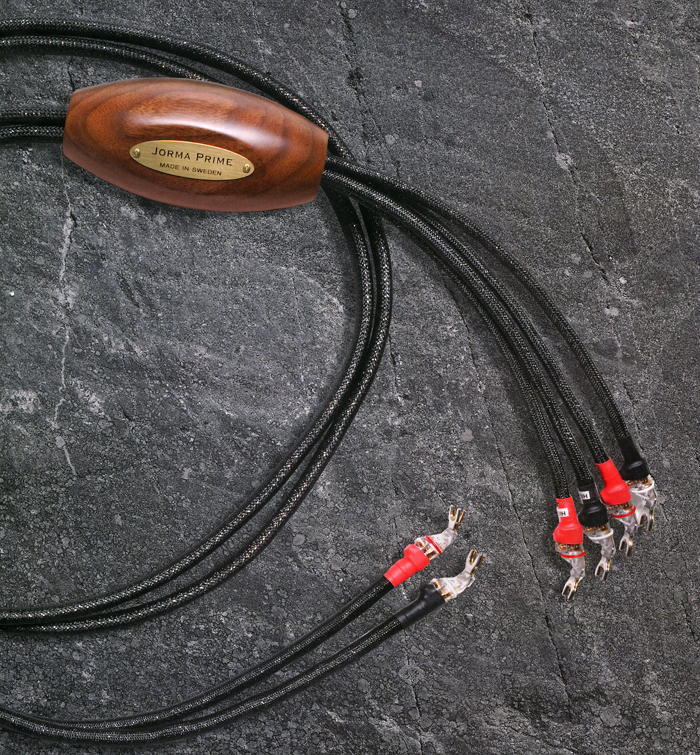 They are not just true reference cables, they are my Stereo Times' Most Wanted Component award winner for 2011. Highly recommended!! The No.2 Series were developed using the same technology as Jorma's previous flagship model (and highly acclaimed) No. 1 Series. Jorma starts with the purest copper available. Looking closely at the construction, they assemble very thin copper threads which are wound around a ceramic core. The resulting "conductors" are insulated using the highest grade Teflon (free from color additive agents). Halogen-free PVC is also combined to complete the outer coating. A tightly plaited copper shield lies between the outer coating and the conductors, which not only prevents noise and interference, but also acts as a stabilizer against vibrations and microphonics. The end result is a highly evolved cable that has a relaxed, neutral presentation. 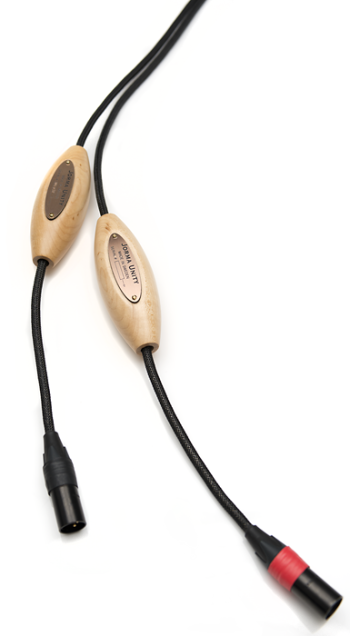 Jorma's No.3 Series received the AUDIO EXCELLENCE AWARD 2007 in Japan for best audio cable as well as the highest score in a massive test in the French audio magazine Haute Fidélité. These cables are a slightly simplified version of the No.2 Series. 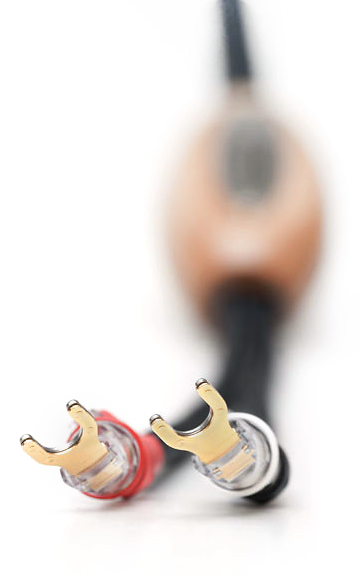 They have a simlar quality as the No.2 Series but the speaker cables are not shielded, making them an excellent value. Get in touch with us to audition Jorma Design.